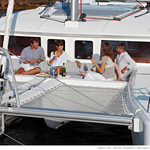 ECONOMY is a name of boat Lagoon 450 ,which has been produced in 2013. 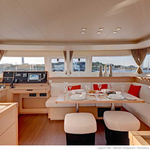 You can rent this boat from base Bormes-les-Mimosas in region close to French Riviera. ECONOMY is furnished with 12 beds. 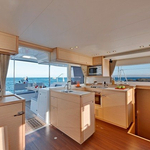 Sleeping places on the boat are arranged in 12 (8+2+2) scheme. 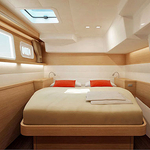 8 cabins are placed inside the vessel ECONOMY. 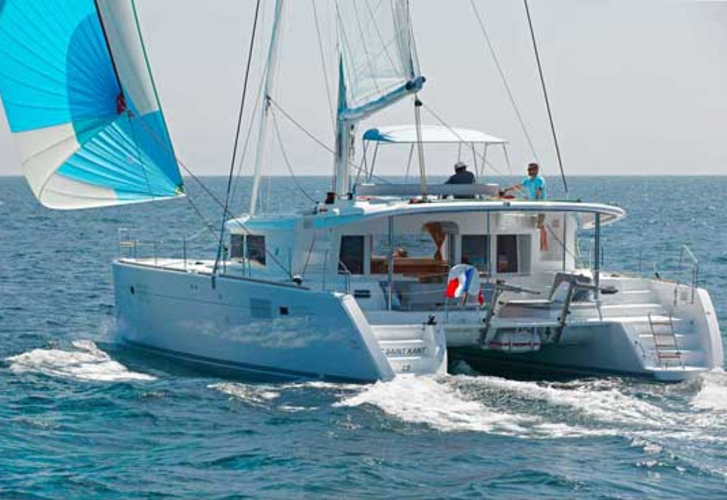 Analyze more offers clicking here: Catamarans French Riviera. 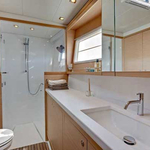 Crew members can feel comfortable on this boat , because there are 4 WCs for their disposal. ECONOMY is driven by motor 40. Boat's dimensions are: LOA - 13.95 meters , width - 7.84 meters and 1.3 meters of draft. 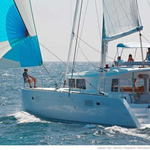 On the vessel is placed following equipment: Dinghy, Bimini top, Electric winch, Autopilot, Gps plotter, Solar panels, Wc pump electrical, Radio / cd player, Mainsail with lazy jack. . Caution there is 3000.00 EUR. 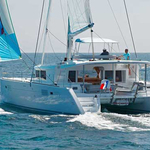 In our search machine you can effortlessly check avalailability of sailboat ECONOMY from Bormes-les-Mimosas over here: Catamarans France.